International House Sydney is Australia’s first engineered timber office building, and the world’s tallest. Legendary architectural practitioners Tzannes are behind the technically and aesthetically impressive project, which opened in May this year. 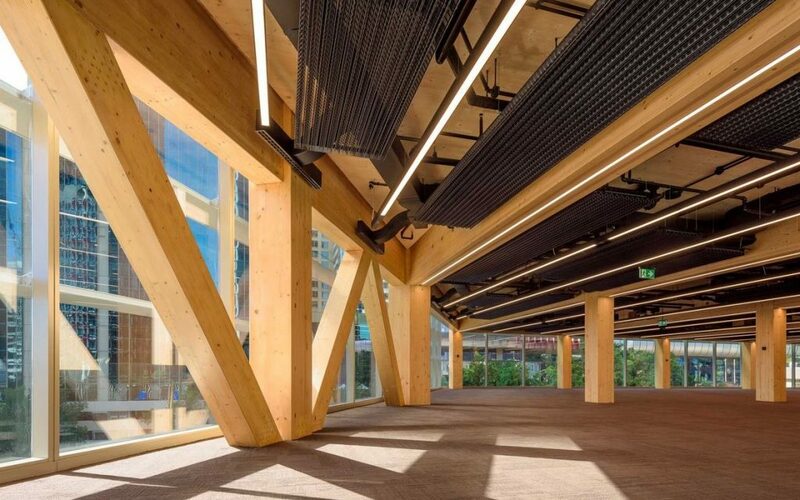 The design relies on Cross Laminated Timber (CLT) to form six of the above ground levels, which rest on a conventional concrete structure at ground level. 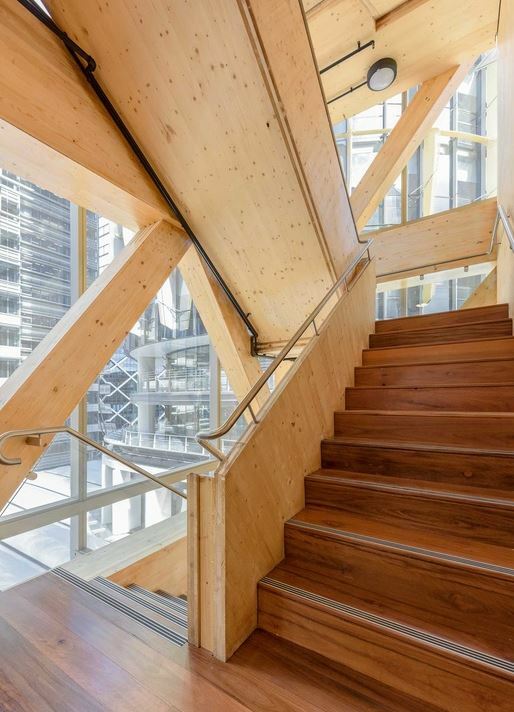 The internal CLT structural elements are left fully exposed, resulting in a strikingly forest-like feel. 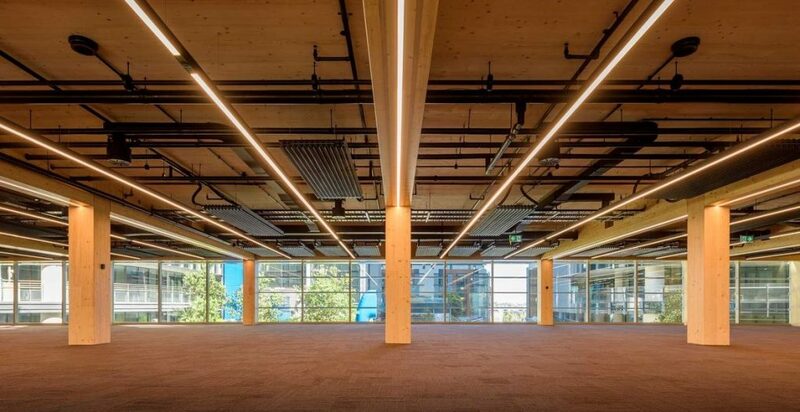 CLT has a very small carbon footprint as opposed to other construction materials, largely because it’s production process generates no waste at all. 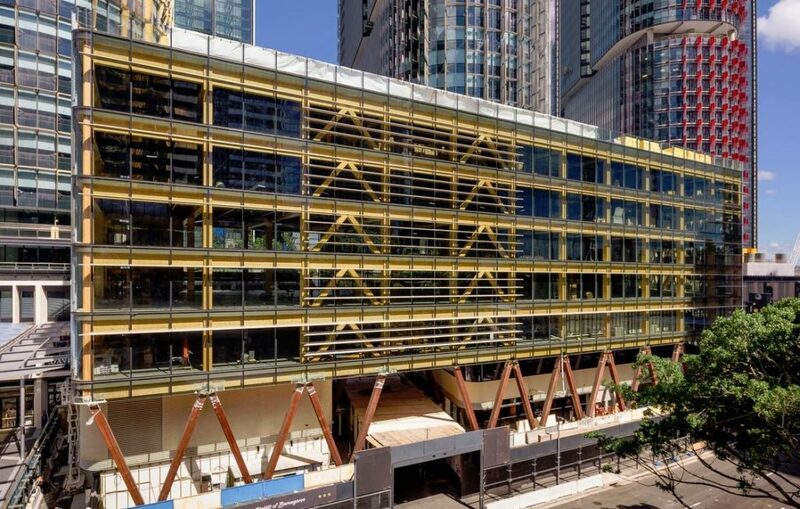 Our new Brisbane Head Office is packed with a similar product (OSB) – so yeah we’re big fans. 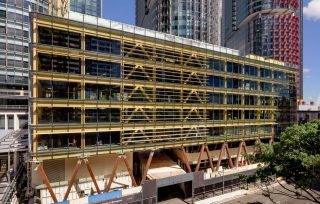 “The architecture of International House Sydney reflects a new form of beauty. Beyond shape and surface, it is ‘deep design’, renewing architecture’s role to serve the greater social purpose of lowering carbon emissions.” Says Tzannes director Alex Tzannes.